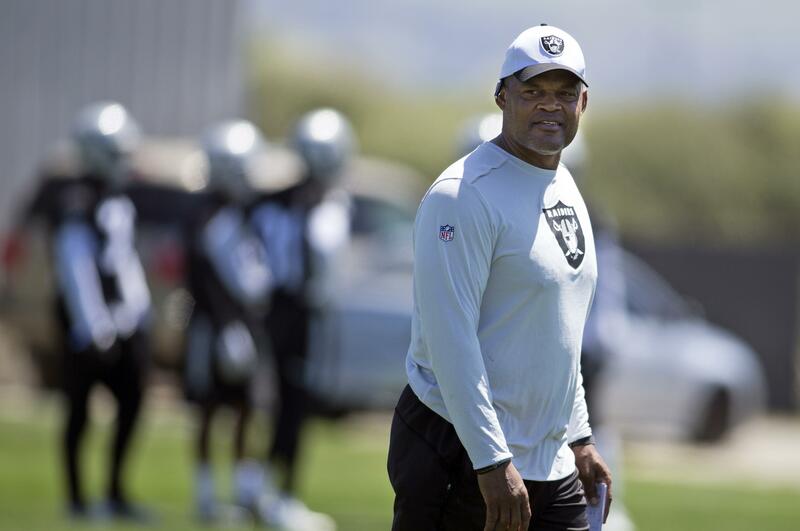 Monday’s news that the Seattle Seahawks will hire Ken Norton Jr. as defensive coordinator and Mike Solari as offensive line coach solidify the major positions on the team’s coaching staff heading into the 2018 season – it had earlier been reported that Seattle will hire Brian Schottenheimer as offensive coordinator. The three replace the fired Darrell Bevell (offensive coordinator) and Tom Cable (offensive line coach) as well as Kris Richard (defensive coordinator), whose status and job in 2018 is yet to be determined but who is obviously out as Seattle’s DC. The moves come at a critical time for the Seahawks following a 9-7 season that saw Seattle miss the playoffs for the first time since 2011. Then, the Seahawks were on the rise, in Pete Carroll’s second season with a defense that had emerged quickly as the year progressed and a running game powered by an in-his-prime Marshawn Lynch, eliciting optimism about the future, the team seeming to only need a quarterback (you may know what happened next). The moves now are being made in hopes to stop a slide that has seen Seattle go from 13 wins and a Super Bowl title in 2013 to 12, 10, 10 and now single-digits and home for the playoffs the last four seasons. 1. Pete Carroll has two years left on his Seattle contract and these changes will go a long way toward determining if his Seahawks’ career lasts past that date. Carroll, recall, signed a contract before the 2016 season that takes him through the 2019 season, at the end of which he will be 68 years old. Anything can happen and Carroll could well re-up prior to then. But Carroll has twice now signed extensions with the Seahawks shortly before he was to enter the final season of his deal – in April of 2014 when his contract ran through the 2014 season and in July 2016 when his contract ran through the 2016 season. If Carroll is to not go into the 2019 season as something of a lame duck, then 2018 has to be better than 2017 – or at least, not a step back. Each side may find it difficult to commit longterm next offseason to Carroll coaching into his 70s if the team goes, say, 8-8 in 2018. Which is where the coaching hires come in. Carroll knows all of this better than anyone, of course, understanding he may be in the last years of his Seahawks career – if not his coaching career as a whole. And with that scenario staring him boldly in the face, he has turned to some fairly trusted hands to try to right the ship. Norton’s background should need little explanation other than a reminder that he has worked for Carroll for all but three years since 2004. Of the readily available OL coaches, Solari was one Carroll knew as well as any, the two having worked together with the 49ers and whom Carroll wanted to keep when he got the Seattle job in 2010. And while Carroll hasn’t worked with Schottenheimer, he is well familiar with him – Schottenheimer worked for Washignton when Seattle GM John Schneider was there and don’t discount the three years that Carroll had to try to devise defenses to go against Schottenheimer’s offenses when Schottenheimer was with the Rams from 2012-14. Carroll knows what to expect out of all three, and as some have said, is sort of betting on himself here, picking coaches who will do things his way. Carroll’s Seahawks legacy, as the only coach to lead the team to a Super Bowl title, is obviously secure. But the coaches he has hired in the last week will assure if he goes out on his own terms. 2. Russell Wilson also has two years left on his contract, and like Carroll, these changes figure to go a long way toward determining what happens from there.Wilson signed a four-year contract prior to the 2016 season for a reason – so he could be a free agent if he wants to after the 2019 season, when he would be 30 years old. How things develop now with the new coaches may well determine what Wilson wants to do in a year or two – and if the Seahawks are willing to give him the kind of contract he is likely to desire. There’s been no indication of any talks between Wilson and the Seahawks occurring any time soon, meaning the earliest anything would likely be done to secure him would be following the 2018 season. In other words, the future of two of the most iconic figures in team history may well ride on how well 2018 goes, and that may well ride on how the coaches hired in the past few days perform. 3. The Seahawks may have just needed a different voice to lead the defense as it transitions into a new-look future. It’s hard on paper to make a case that Kris Richard did a bad job. Sure, the Seahawks dropped off statistically some the past two years after leading the NFL in points allowed every season from 2012-15 – the latter Richard’s first season as defensive coordinator. Seattle was third in 2016 and tied for 13th in 2017. But injuries and age logically accounted for most, if not all, of the dropoff. So why hire Norton and force out Richard, whom the team appears to be hoping will find a new job to prevent a firing? One thought is simply that the locker room – and specifically the defensive players – need a new voice. Richard was the defensive backs coach prior to be being named DC and it was thought that the support of the key members of the LOB helped Richard get the coordinator’s job instead of Norton, who was the linebackers coach at the time and left to become the DC of the Raiders after learning he wouldn’t get that position with the Seahawks. But if the three key members of the LOB – Richard Sherman, Kam Chancellor and Earl Thomas – were regarded as the leaders of the locker room then, each of their futures is uncertain now. Chancellor may never play again, Sherman is entering the last year of his contract coming off an Achilles injury and Thomas is entering the last year of his contract sounding like he’d be glad if the team wanted to trade him to Dallas. The defensive player most likely to still be part of the Seahawks five years from now is middle linebacker Bobby Wagner. That Norton was Wagner’s coach for his first three years of his career may not be a coincidence. Instead, it may be a sign that the leadership of the locker is shifting, and with Carroll’s endorsement. 4. Wilson may also just need a different voice.The other player Carroll may feel simply needs a different voice is Wilson. The hiring of Schottenheimer has elicited some mixed reviews based on his history as an offensive coordinator. But one thought is that one appeal of making a change is simply having another coach on hand who will view Wilson in a different light. Bevell has been the only OC Wilson has had in the NFL, and Carl Smith – whose status is also uncertain – his only quarterback coach. But after six years, Carroll may have thought, maybe they had taken Wilson as far as they could. And maybe even if some points are obvious — throw the ball to the open receiver when he’s open without hesitating — that maybe it’ll have a different impact coming from a different voice at this point of Wilson’s career. 5. The hirings of Schottenheimer and Solari reinforce that the Seahawks are committed to getting the running game back. Carroll made it clear in his post-season press conference he wants the Seahawks to get back to being a team that can win with a running game and defense after two years of slippage in each area. That’s particularly true of the running game, which after ranking in the top four every year from 2012-15 ranked 25th and 23rd the last two seasons. Both Schottenheimer (six NFL teams since 1998) and Solari (eight NFL teams since 1987) have worked for enough teams that one can go back and find associations with just about every scheme and philosophy imaginable, and also make just about any conclusion one wants to about whether they will be a success in Seattle. But each also has recent experience that likely speaks to what Carroll was most enticed by — Solari was offensive line coach of the 49ers when they went to three straight NFC conference title games from 2011-13 and ranked eighth, fourth and third in the NFL; and Schottenheimer was offensive coordinator for the Jets in 2009-10 when they made the AFC title game ranking first and fourth in the NFL, both the 49ers and Jets in those years considered among the best defensive teams in the league. Each, simply put, has shown a willingness to commit to the running game. And while it takes more than that to make it work — no one doubted that Bevell and Cable liked a good running game — Schottenheimer and Solari have a background that indicates they are eager to do what it takes to get that done. Taken as a whole, the hirings show that as he heads into an uncertain future, Carroll is counting on the past to bring him through. Published: Jan. 16, 2018, 11:29 a.m. Updated: Jan. 16, 2018, 11:39 a.m.